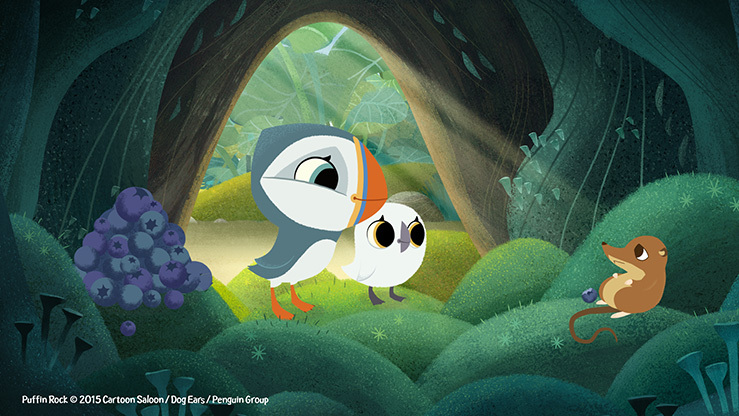 Currently airing on Nick Jr. in the UK, Puffin Rock (78×7’) is a delightful, animated series about a family of puffins who spend their days exploring the natural environment of their island home. The series is narrated by comedy star Chris O’Dowd and has the look and feel of a classic picture book. A series of books is currently in development with Penguin Random House, the first of which will be published in 2016 alongside the launch of series 2. Internationally the series has already sold to Netflix and a number of other broadcasters including SVT Sweden, NRK Norway, DR in Denmark, RUV in Iceland and ABC Australia. 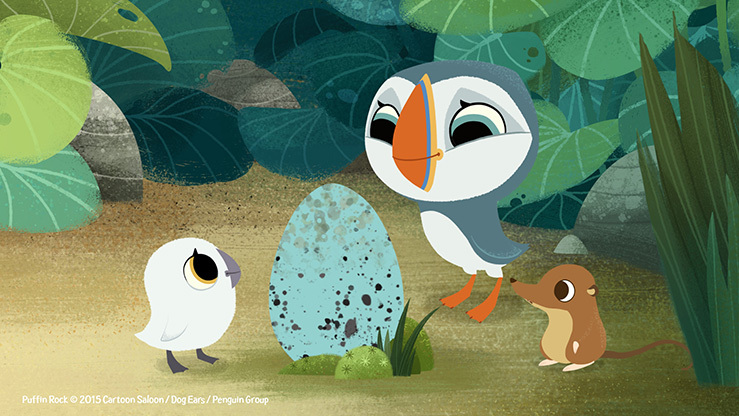 Puffin Rock © 2014 Cartoon Saloon Ltd., Dog Ears Ltd. and Penguin Books Ltd.